It was a chilly evening, we were cold enough to bundle ourselves in hand woven sweaters and scarf. Walking along the side of the Carnival field we noticed a small crowd. They were gathered around in circle. A skinny old man sitting with a fire pit and heap of un-husked farm fresh corn was the center of attention. He was religiously husking the corn and grilling it on the fire pit. As a pro he seasoned it with some spices, slathered some hot ghee and fresh lime juice over it. There were other stalls on the carnival field, but nothing got any ones attention as this man did. People were enjoying the freshly made warm corn with the luxury of the outdoor fire pit. The aroma of grilled corn was irresistible. My dad bought the piping hot grilled corn for us. The aroma of the hot spicy and tangy dressing over the grilled corn was like a perfect tranquilizer to tame the gusto in us. We headed to the rides while enjoying the corn. On the way back home from the carnival, we noticed few people meandering around the fire pit. With observant care few were watching how the man was trying to wrap up his act. A little girl was helping him to collect the corn husks. The smoky fire ashes from the fire pit were still lingering in the air and the clamor of the crowd was getting feeble. With sleepy heads and contented hearts we headed back to our scooter to get back to home. That must have been an assiduous grilling in the late night for the old man!!! 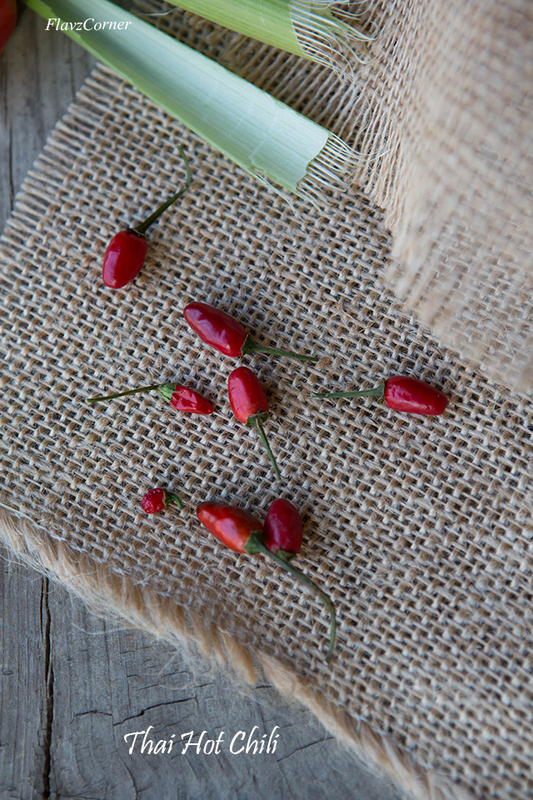 These plum red hot Thai peppers are from my vegetable garden. 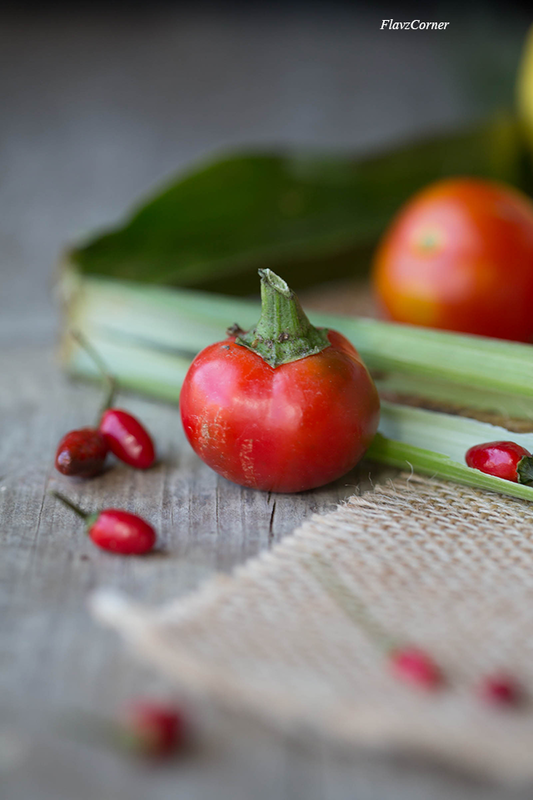 Hot Cherry/Capperino pepper from my garden. I was craving for the spicy grilled corn from the beginning of summer. Finally I made these Chipotle Style grilled corn with lime butter and it was really lip smacking. I insist that you try this recipe before the corn season ends. Lets grill some spicy corn!!! Arrange the corn with the husk on a baking sheet and bake for 30 minutes. Let it cool. Mean while mix all the ingredients under Chipotle lime butter using a spoon. 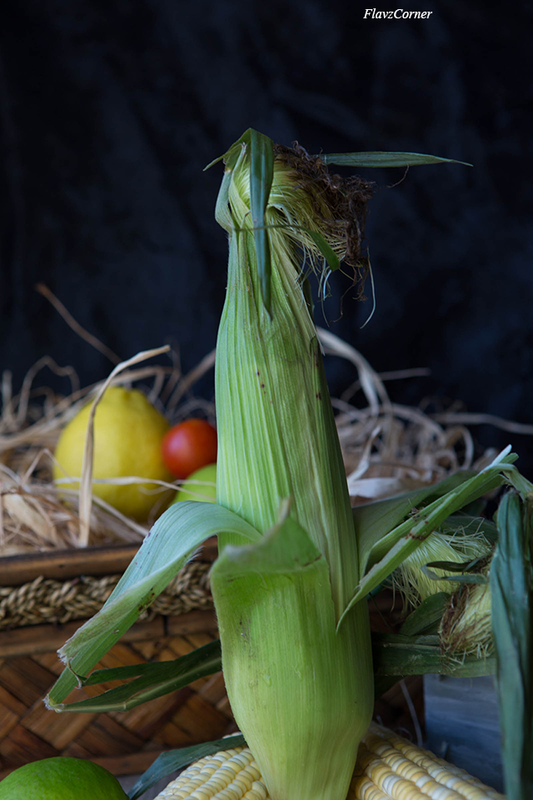 Pull the husk towards the stem of the corn and tie it using a yarn or thread. Brush the Chipotle Lime butter on the corn and place directly above the grill. 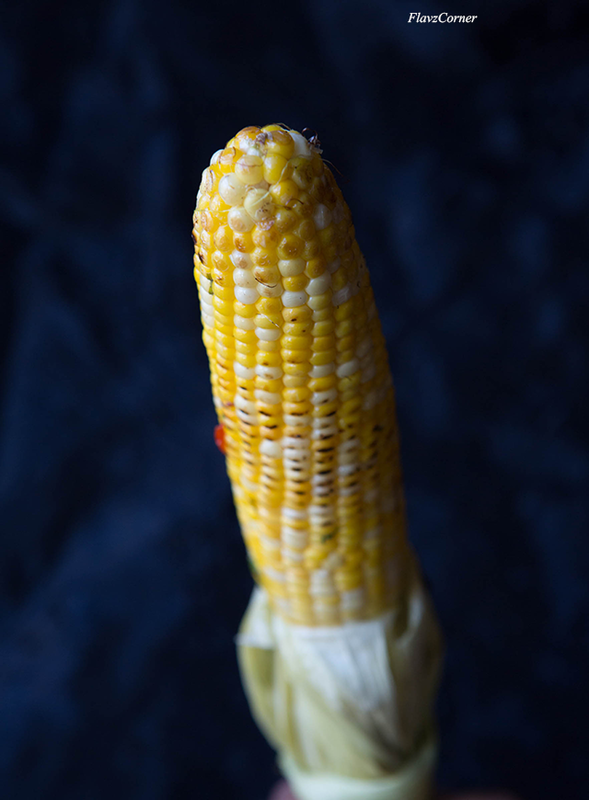 Rotate and grill corn for 5 to 6 minutes or till small brown spots appear on the kernels . Apply some more Chipotle Lime butter and sprinkle sea salt and enjoy. Sweet fresh corn is one of the symbols of summer! It must be very delicious. 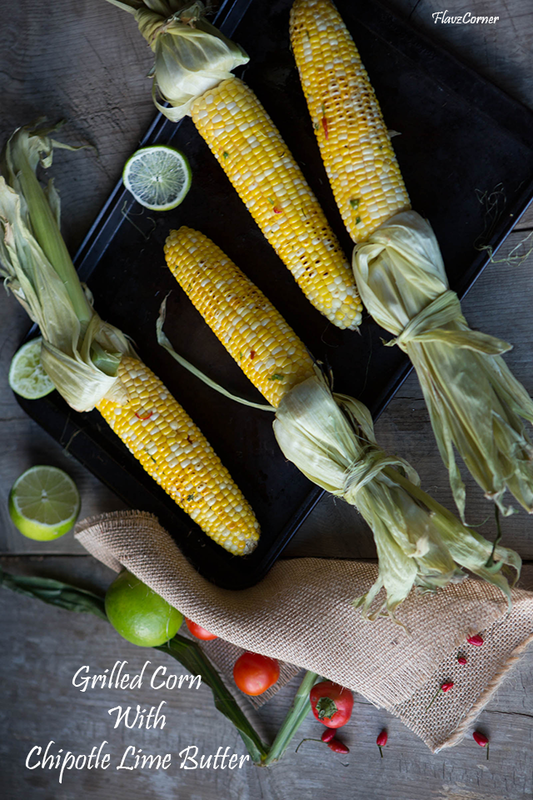 Oh I love these corns....we had it today too but the boiled version...the grilled version sounds so great.. would love to give a try..
Corn ,I am ready time spicy chipotle sounds yumm and home grown chillies its getting even better. I have been meaning to buy corn and your post reminds me I need to do that fast coz the season here is not going to last long. I would love to give it a try with the chipotle lime butter. I love grilled corn and I'm such a chipotle addict! So this recipe is perfect for me. :-) Lovely recipe, great photos -- thanks. Oh man this sounds amazing!!! I love love love grilled corn on the cob and with the chipotle lime butter?! Hello flavor town! u really made me drool..i could picturise that man making cob too ! We went for sweet corn picking with my sister and even enjoyed eating raw ones staright after picking..there is nothing like the taste of fresh corn on the cob and the with the dash of fancy butter it must have been divine alle ? Must be amazing, specially with spicy butter. Looks really good!